Do you ever look around your home and feel dissatisfied with your mismatched, outdated furniture and cabinets? Don't discard them; transform them with the Amitha Verma Transform Kit. 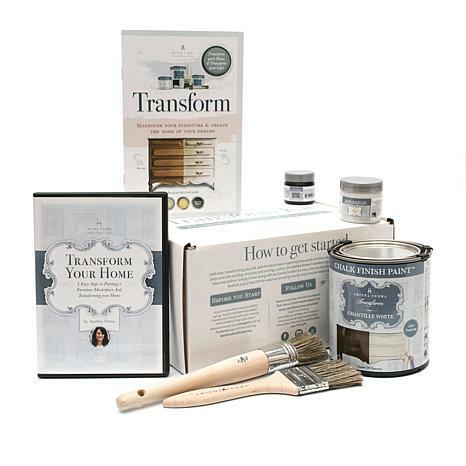 It features absolutely everything you need to transform your old, dingy furniture piece into designer décor in 60 minutes or less. 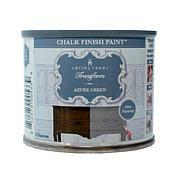 It's the easiest, fastest and most affordable way to redecorate your home. Can be used on a variety of surfaces: wood, metal, plastic, concrete, fabric and more! This is the ultimate perfect product I have ever tried. It is every thing Amitha Verma says it is. I redid my parents entire dining set and it turned out beautiful. 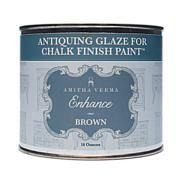 I cannot wait to start my next project using Amitha Verma products. Thank you Amitha Verma!!! You're awesome. I wasn't sure how I'd like this product, based on the mixed reviews, but I love it! 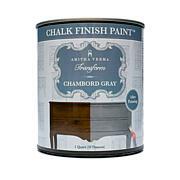 I purchased the French Grey, and have used it to paint an old night stand AND my white fire place, with great results. The paint is thick and colors nicely with no paint smell. It dries quickly, so you can get on with the next steps. Yes, it is a matte finish, but, thats the point. You then add the sealer, which does add sheen. Next, is the glaze, which you must add very sparingly. Otherwise, the brown glaze on the grey does look a bit dirty. Just play around with it to get the look you want! I went back and ordered the White and Belgium Blue. Having fun transforming! Love, Love ,Love this product. I ordered the Belgian Blue wonderful color. The paint is a nice thickness goes on easy. I used the product for a small china cabinet and on my master bath cabinets.I have already purchased from the website three different colors and will order the gray wax. Easy to use. I bought this kit in the Belgian blue color, because I love the look of Swedish design, and this is the perfect pale, soft blue/green/grey color on so much of their furniture. I know the paint requires no prep, but I did sand lightly, it's a painted dresser and they used gloss paint. I did two coats, and then just brushed on the sealing wax, and the dresser looks beautiful. I haven't yet done the glaze, but I did a small test patch, and love it. And, a little goes a long long way. 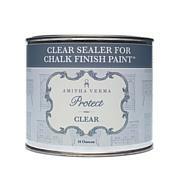 I've already purchased my next can of Amitha Verma paint from the website, and can't wait to see what I can do with it. Really easy, even for beginners. Its just ok to me. The video only shows flat surface to paint. Then that looks really easy. I could do that with a quickness, no problem. But once you start painting things with groove or designs, it gets very frustrating, Product is too thick. Its basically a primer, water base. I am not going to bad mouth the product, Im sure someone out there will love it. I won't buy it again..too expensive. I do like the round brush.